This graph is pretty clear. PMPA’s Index of Sales of Precision Machined Products in February 2011 was 110, staying even with the adjusted value for January 2011. (January had been reported at 111.) February’s index of 110 remains at its highest level in the thirty-two months since June 2008. Additional data in the February report indicated the industry is recovering nicely, and outlook is positive. 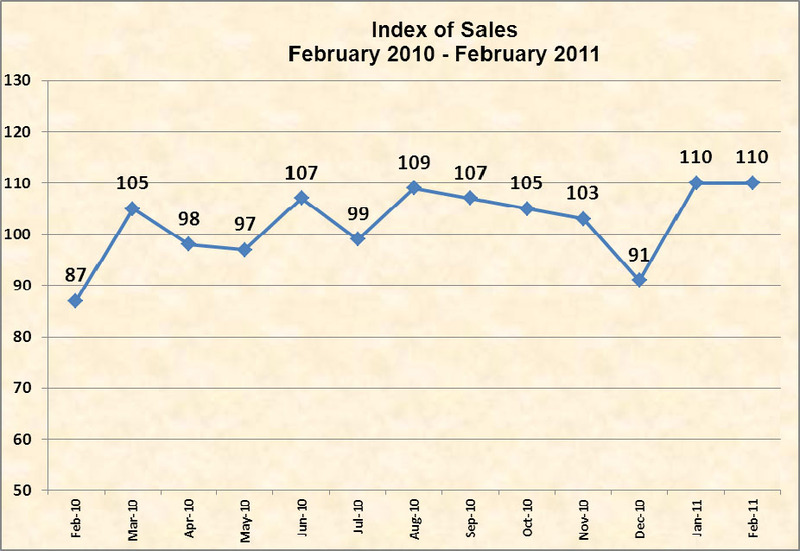 The February 2011 sales level was equal to the February 2008 level prior to the Economic Recession. This strong showing of industry sales is a clear signal that we need to adjust from our recessionary mode “hunker down” management style to a recovery mode “aggressively manage risk” methodology if we are to take full advantage of the markets today. More than ever before, the keys to our company’s success are in our hands, not market externalitites. PMPA members can read the full report at this link. Accredited Press please contact PMPA for a copy of the report. This entry was posted on Friday, March 18th, 2011 at 1:25 pm and is filed under Front Office. You can follow any responses to this entry through the RSS 2.0 feed. You can leave a response, or trackback from your own site. Those interested in this developing market opportunity should contact their local U.S. DEPARTMENT OF COMMERCE Field Offices. The U.S. Department of Commerce is very aggressively seeking our export market opportunities for U.S. Firms and Organizations. TOKYO (AP) — Japan’s major automakers are trying to find alternative parts suppliers to replace those knocked out of action by the colossal earthquake last week that has forced most of the country’s car production to a halt. Analysts say production is likely to resume within the next few weeks, bouncing back from the Mar. 11 quake and tsunami which killed more than 6,000 people. Once parts are coming, automakers will be able to make up for much of the lost production in coming months, they say. What’s likely to hurt in the longer run are logistical difficulties caused by destroyed roads, and limits on electricity use. Power stations have suffered damage including several nuclear power reactors that are beyond recovery — and leaking radiation in a still unfolding crisis. The yen’s recent surge to record highs could also hamper automakers. Toyota Motor Corp., maker of the Prius hybrid and Lexus luxury models, has stopped production at auto assembly plants throughout Japan through next Tuesday. Among Japan’s automakers, it will likely be least affected because most of its suppliers are located near the company’s Nagoya headquarters, southwest of Tokyo, which is far from the disaster’s epicenter in the northeast. Honda Motor Co. said its production halt at auto assembly plants in Japan will be extended by three days until March 23. Earlier this week, Nissan Motor Co. and Mitsubishi Motors Corp. restarted some plants using their stocks of parts, which will continue only as long as inventory lasts. “It’s all guesswork,” Koji Endo, analyst with Advanced Research Japan, said of the potential damage. Automakers are scrambling to find other suppliers, including overseas ones, to replace those disabled by the 9.0-magnitude quake, he said. Northeastern Japan is home mostly to tertiary parts-makers — the tiny machine shops that make parts for secondary and other suppliers. Parts-makers higher up in the supply chain will be able to make those parts instead, Endo said. He estimates the loss for Toyota at about 6.5 billion yen ($81 million) or 13,000 vehicles at day, but Toyota can make up for that by boosting production later on. Goldman Sachs said in a report this week that the damage to automakers will be short term, and parts-makers have recovered quickly from previous earthquakes. Nissan’s engine plant in northeastern Japan suffered damage, and a transmission plant was damaged from another quake Tuesday in Shizuoka, southwest of Tokyo. 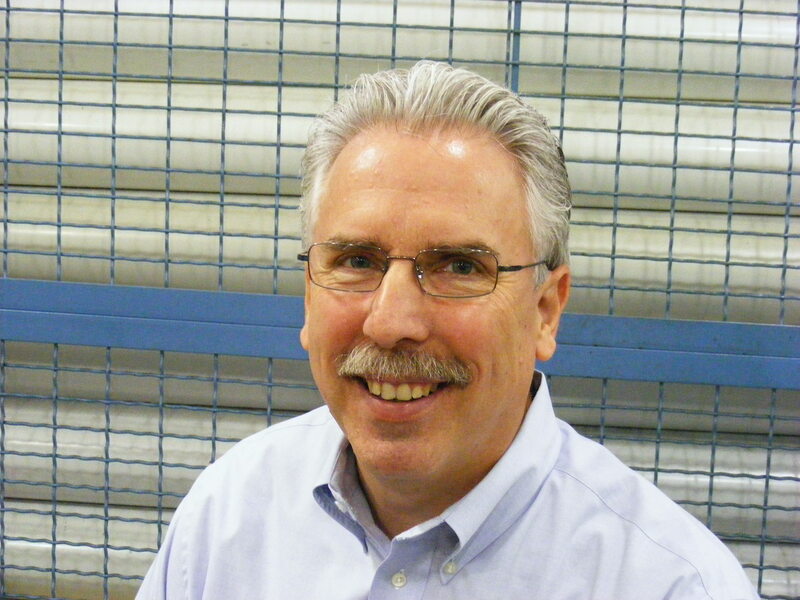 That could prove more serious as suppliers for engines and transmissions are harder to replace. Spokesman Mitsuru Yonekawa said damage was being assessed and it was unclear when production will resume. Nissan said Friday that checks began this week for traces of radioactive material in vehicles to avoid spreading contamination. Fears about radiation leaks have been growing because of the crisis at the Fukushima Dai-ichi nuclear power plant, which is spreading low levels of radiation in northeastern Japan, forcing nearby areas to be evacuated amid efforts to cool overheating nuclear reactors. Toyota said it may decide next week’s plans by later Friday. It began production for repair and replacement parts Thursday, and plans to start production of parts for overseas production, including knockdown car assembly, Monday.